In 1935, twelve philanthropic women joined together to form "The Cheerful Helpers" -- a group dedicated to serving young children. 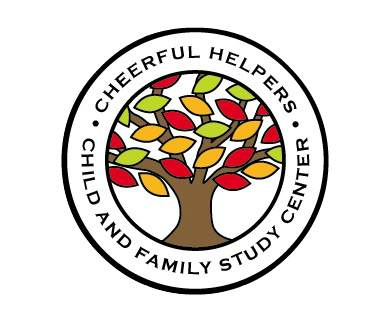 Today, building on this vision, passion and dedication, Cheerful Helpers provides early intervention services for families with young children, creating an environment that is respectful and supportive of each child’s developmental accomplishments, emotional resilience, and autonomy. We provide hope to families with young children experiencing significant developmental, social and emotional challenges. In a safe and warm setting, we offer a unique collaborative, educational and therapeutic approach, empowering the entire family to achieve their potential for life-long growth. We strive to maintain an environment that is respectful and supportive of each child’s developmental accomplishments, emotional resilience and autonomy. The Center combines compatible theories of children’s psychological cognitive development with an attention to individual differences and family processes.